Marc is Ibec's Head of International Business Development. As Director of Financial Services Ireland he pioneered Ibec's international engagement in relation to Brexit, Asian growth strategies and EU representation. Marc is focused on international business development leveraging his track record in commercial performance and industry leadership, language skills and international management training. Before joining Ibec, Marc spent a decade shaping analysis of Ireland's economic recovery in various capacities including as Economics Editor for the Irish Times, and then Newstalk and as an Economic columnist with the Sunday Independent. Prior to that he was an economist with the European Central Bank and Department of Finance. He has written pioneering and bestselling books amongst them one on Ireland's opportunities in Asia (2014) and economic relations with Germany (2013). He holds a scholarship MBA from Smurfit business school and the Advanced Studies Programme in applied economics from the Kiel Institute of World Economics, Germany as well as two further economics degrees. Marie-Thérèse is a lecturer in French at the University of Limerick (UL). A faculty member of the language department since 1985, she co-founded an Erasmus student exchange between UL and her former university in Angers in 1989 and has been a strong advocate for an interdisciplinary and multicultural approach in the classroom since then. Her PhD thesis, completed in 2002 at Trinity College Dublin, focused on the second language development of university learners experimenting with immersion in the target language. 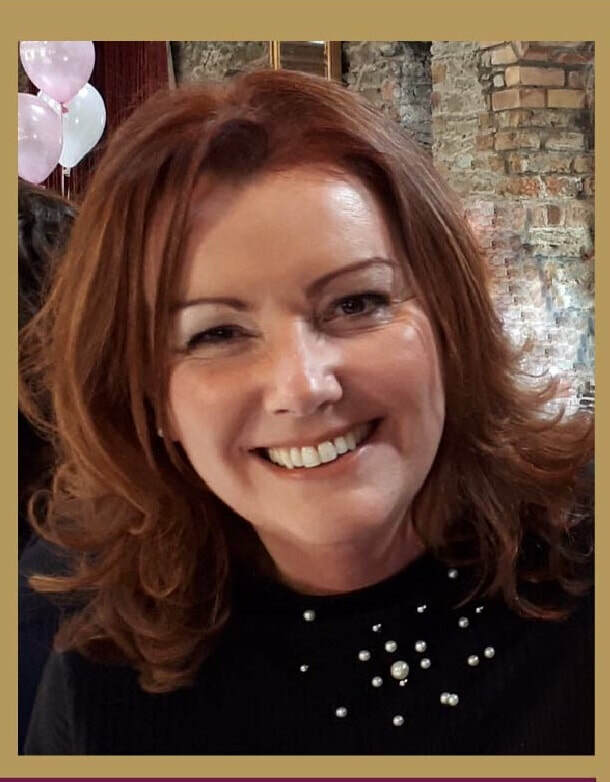 She has also been involved for many years in the field of education, first through delivering in-service training for secondary school teachers of French and, more recently, designing and coordinating a language module for postgraduate student teachers at UL. As new technologies have become available, Marie-Thérèse has endeavoured to incorporate computer-mediated-communication tools into her teaching. This has led her to participate in projects on technologically-enhanced language learning. Silvia is currently Teaching Fellow in Italian at the School of Languages, Literatures and Cultural Studies in Trinity College Dublin. She obtained a degree (MA level) in Italian Studies from the University of Rome “La Sapienza” and an MPhil in Applied Linguistics from Trinity College Dublin. For nearly 30 years she has been involved in language teaching at all levels and in a wide range of settings in Italy and in Ireland. Since moving to Ireland in 1994, she has also been very active in teacher training, curriculum development, assessment, materials development and editing. Her interests are linked to language teaching in its many facets. A strong believer in lifelong learning, she considers herself an eternal student. Kristin (MA, PhD) has been a lecturer in German and Intercultural Communication since 1994 at the Institute of Technology Tralee. Since 2003, she has participated as Coordinator and Quality Manager in EU-funded projects in the area of online languages. Since 2012, she has been involved with the Council of Europe as a team member in ECML projects. Kristin was involved in the Expert Group for Future Skills Needs and was a member of the steering group of the project Key Skills for Enterprise to Trade Internationally. She was the representative for Ireland (DES) in the EU Commission working group “Languages for Jobs” (June 2010-July 2011), and she has represented Ireland in the current follow-on working group “Languages in Education and Training”. Kristin was a co-founder of the IoT Languages Strategy Network www.languagesinireland.ie, was a team member in the Goethe-Institut Dublin project: “German – a language of opportunity” http://www.goethe.de/ins/ie/dub/lrn/ger/enindex.htm, and was part of the PR working group of the German Embassy in Dublin, www.germanconnects.ie. In 2014, Kristin completed her PhD in the acquisition of language and intercultural skills during a period of study abroad. For Kristin's profile link, please click here: http://www.ittralee.ie/en/InformationFor/Staff/Profiles/kristinbrogan/. ​modern​ language teachers​ which she completed in 2017. Annelie lectures both in St. Angela's College Sligo and the National University of Ireland Galway in Education and German language methodology. Originally from Germany, Annelie studied German as a Foreign Language and Pedagogy at the Friedrich-Schiller-University in Jena and taught in Spain, France​, Germany​ and the US before coming to Ireland. ​ In 2013/2014, as the consultant for the Alumniportal​ Deutschland in Ireland, Annelie helped setting up an Irish network for alumni. Tanya Flanagan is one of the Second Level Representatives on the One Voice for Languages Committee. Tanya teaches French, Italian and Communications in St. Farnan's Post-Primary School in Prosperous,Co. Kildare where she also manages the school's PR and coordinates the Skills@Work programme. From 2002 to its conclusion in 2012, Tanya was the National Coordinator of the Modern Languages in Primary Schools Initiative (MLSPI) for the Department of Education and Skills, based in the Kildare Education Centre. She managed all aspects of the programme including CPD for primary language teachers, materials development and language policy. In addition, she developed links between the MLPSI and a large number of partner agencies, associations and teaching institutions in Ireland and abroad. She project managed the production and publication of the MLPSI's European Language Portfolio and was involved in a number of European Projects with the European Centre for Modern Languages. She has lectured extensively on early language learning, language policy and on the positive impact of the MLPSI on Irish education. Prior to her work with the MLPSI, Tanya lectured in the Cork College of Commerce, the Italian Department of NUI Galway and in the Languages Department of GMIT. Tanya was recently awarded the title of Chevalier de l'Ordre des Palmes Académiques by the French Government in recognition of her contribution to the promotion of language learning in Education in Ireland. Déirdre Kirwan is principal of Scoil Bhríde (Cailíní), a primary school in Dublin. Seventy-five percent of the school’s enrolment consists of pupils from more than 40 cultural and linguistic backgrounds. In 2008, Déirdre received the European Ambassador for Languages award for her promotion of cultural and linguistic diversity in the school. The following year, she received a PhD from Trinity College for original research in the area of language education. She has presented papers on the topic of multilingual education both nationally and internationally. She also delivers courses to teachers at undergraduate and postgraduate levels. She is strongly committed to the promotion of plurilingualism at primary level and is currently exploring, with teachers, parents and pupils, the benefits of an integrated approach to language teaching and learning in her school. Déirdre’s most recent publication, entitled ‘From English Language Support to Plurilingual Awareness’, can be found in D. Little, C. Leung and P. Van Avermaet (Eds) (2014) Managing Diversity in Education, (pp. 189-203), Bristol: Multilingual Matters. Susanna is currently a Lecturer in Italian at the School of Languages, Social Sciences and Law, Dublin Institute of Technology. She has always been fascinated by foreign cultures and languages and this led her to the study of foreign languages. She obtained a degree in Scandinavian Studies (Danish) at the University of Pisa. She also spent two years in Iceland and completed a degree in Icelandic Language and Literature at the University of Reykjavìk. After moving to Ireland, she was awarded an M.Phil. in Applied Linguistics from Trinity College, Dublin, and she is now completing a PhD in teaching and learning foreign languages in virtual worlds at DCU. Since 1989, Susanna has taught Italian as a Foreign and Second Language in various countries (Italy, Mauritius, Iceland, India, Finland and Ireland); since 1994, she has worked at Irish third-level institutes. Her research interests are Computer Assisted Language Learning, Virtual Worlds and Virtuality, Game Based Learning, Teacher Training and Pedagogy. She is co-chair of the Special Interest Group in Virtual Worlds for EuroCALL. She has published various books for teachers and students of Italian as a Foreign Language, both in Italy and in Ireland, and has facilitated teacher-training workshops and courses in different countries. Conny lectures in Russian language and culture, linguistics and translation studies at Trinity College Dublin. She underwent intensive language training in Russian from a relatively young age as part of her schooling, which prompted her to train as a translator and interpreter with Russian and English at Leipzig University. Having moved to Ireland in 1995, initially to teach German language and translation at Dublin City University, she developed a strong research interest in adult multilingual development. In 2011, Conny received her PhD in Applied Linguistics from TCD for a study of adult bilinguals' second language acquisition and first language attrition. Her recent research projects and publications explore multilingual development in different cohorts of adults holistically from a dynamic systems/complexity theory perspective. Conny has also served on the executive committee of several national associations. As a committee member of the Irish Association for Applied Linguistics (IRAAL) and the Irish Association for Russian, Central and East European Studies (IARCEES), she has co-organised several conferences and seminars. On behalf of the Irish Translators' and Interpreters' Association (ITIA), she developed and delivered a mentoring course for novice translators. She has also built-up extensive experience as a language practitioner and consultant in the areas of community/legal interpreting and translating, tourism and education. Sandrine was on the OVFL committee before she was appointed Education Officer with the Post-Primary Language Initiative in September 2018. as part of a secondement from Presentation Secondary School Wexford. Sandrine is a French and Spanish teacher. She also looked after the French exchange as well as promoting languages in her school. She sees her own teaching journey as a learner's journey. That's why over the years, she looked into the ideas of portfolio, ICT, teaching and learning and active learning for modern languages. With that in mind, she is a active user of social media for these purposes. She can be found on Twitter: @sandrinepk She runs the Facebook: Français pour les profs de français langue étrangère; She is involved in setting up a FLAM association for French speaking children in her county of Wexford. She ran the French Teacher Association Wexford branch for a couple of years. She is a true believer in sharing and in building a community of language learners and teachers. She created a website/blog a couple of years ago after teachers asked me to share what she was finding and using in class (lcdsandrine.com). She regularly presents at language and ICT conferences. Her latest development was her involvement with JCT Modern Languages as an associate.